"Important Note: Mr. Rescue Plumbing and Drain Cleaning and its affiliates will not take any responsibility for any damage to the pipes or drain and sewer lines and any other damage arising in the course of cleaning any drain or sewer lines and does not assume any responsibility for break- age of any toilet, P-trap or fixture while being pulled or damages to property from the new or defective replacement parts manufactured by others." THIS WEB SITE IS PROVIDED BY MR. RESCUE PLUMBING AND DRAIN CLEANING ON AN "AS IS" BASIS. MR. RESCUE PLUMBING AND DRAIN CLEANING MAKES NO EXPRESS OR IMPLIED REPRESENTATIONS OR WARRANTIES OF ANY KIND, AS TO THE OPERATION OF THE WEB SITE, OR THE CONTENT, INFORMATION, MATERIALS OR PRODUCTS INCLUDED ON THIS WEB SITE. TO THE FULLEST EXTENT PERMISSIBLE BY APPLICABLE LAW, MR. RESCUE PLUMBING AND DRAIN CLEANING DISCLAIMS ALL WARRANTIES, EXPRESS OR IMPLIED, INCLUDING BUT NOT LIMITED TO IMPLIED WARRANTIES OF MERCHANTABILITY AND FITNESS FOR A PARTICULAR PURPOSE. MR. RESCUE PLUMBING AND DRAIN CLEANING WILL NOT BE LIABLE FOR ANY DAMAGES OF ANY KIND RESULTING FROM THE USE OF THIS WEB SITE, INCLUDING BUT NOT LIMITED TO DIRECT, INDIRECT, INCIDENTAL, PUNITIVE AND CONSEQUENTIAL DAMAGES. MR. RESCUE PLUMBING AND DRAIN CLEANING WILL NOT BE LIABLE FOR ANY DAMAGES THAT MAY RESULT FROM MISREPRESENTATION OF AGE BY A USER OF OUR WEB SITE. MR. 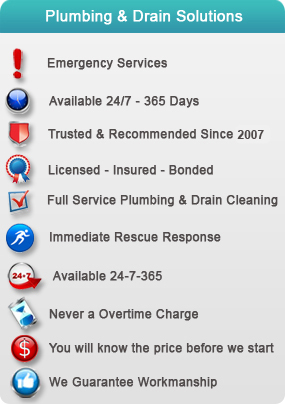 RESCUE PLUMBING AND DRAIN CLEANING DOES NOT WARRANT THAT THE WEB SITE WILL OPERATE ERROR-FREE OR THAT THIS WEB SITE AND ITS SERVER ARE FREE OF COMPUTER VIRUSES AND OTHER HARMFUL GOODS. IF YOUR USE OF THE WEB SITE OR THE MATERIAL RESULTS IN THE NEED FOR SERVICING OR REPLACING EQUIPMENT OR DATA, MR. RESCUE PLUMBING AND DRAIN CLEANING IS NOT RESPONSIBLE FOR THOSE COSTS. PAYMENT OF OUR INVOICE/CONTRACT IS DUE UPON COMPLETION OF WOR. THE AUTHORIZATION TO PROCEED WITH THE RECOMMENDATION MENTIONED BY MR. RESCUE PLUMBING AND DRAIN CLEANING TECHNICIAN WILL BE SIGNED BY THE OWNER OR AUTHORIZED REPRESENTATIVE OF THE OWNER OR THE TANENT of the premises at which the work will be done. A monthly service charge of 11/2% will be added after 10 days. You might hold reasonable for the attorney's fee and court costs in the event of legal action. If the check does not clear, You could be liable for 3 times the amount of the payment, in no case more than $1,500 and in no case less than $100 all set forth in the California Civil Code Section 1719, plus the face value of the check and court costs.The Down Payment will be obtained once the contract is signed and the homeowner it's representative or tenant authorizes work. The down payment may not exceed $ 1000 or 10 % Ten Percent of the Contract Price, whichever is less. You are entitled to a completely filled in copy of this agreement, signed by both you and the Contractor, before any work may be started. The law requires that the Contractor gives you a notice explaining your right to cancel. Initial below if the contractor has given you a "Notice of the Three-Day Right To Cancel". After the work is done at your home or property a free in home no obligation inspection will be offered. The inspection will be performed with the intent to expose all plumbing and drain problems but by no means carries any guarantee. Neither Mr. 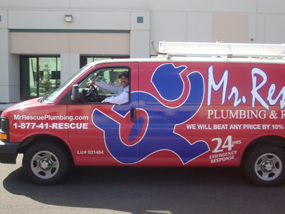 Rescue Plumbing and Drain Cleaning and its affiliates, any entity associated with Mr. Rescue Plumbing and Drain Cleaning , nor the service technician performing this inspection shall be liable for any damages which may arise from any identified or unidentified plumbing or drain problem, but shall be the responsibility of the property owner. A. The term "CONTRACTOR" herein refers to Mr. 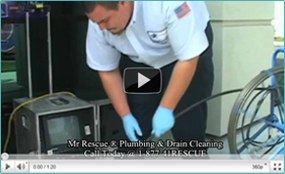 Rescue Plumbing and Drain Cleaning AND ITS AFFILIATES. B. CUSTOMER shall telephone CONTRACTOR within twenty four (24) hours of discovery of any warranty claim. CONTRACTOR will respond with reasonable promptness between the hours of 8:30 a.m. to 4:30 p.m. Monday through Friday, excluding holidays. C. Asbestos or other Hazardous Materials Remediation Work – CONTRACTOR has no information whatsoever with respect to asbestos or other hazardous materials or substances in any portion of the CUSTOMER'S property and has not conducted any investigation in connection herewith. CONTRACTOR does not perform asbestos or other hazardous materials or substance removal and CONTRACTOR shall have no responsibility whatsoever and CUSTOMER expressly releases CONTRACTOR from any liability whatsoever and for any claims arising out of its presence, release, remediation or removal and for any costs, losses or damages CUSTOMER may suffer or sustain if it is found to exist on the CUSTOMER'S property. In the event asbestos or other hazardous materials or substances are found to exist on the CUSTOMER'S property or if, in order to obtain a building permit for the work to be performed by CONTRACTOR as set forth herein, any remediation action or work, including investigation is required to be performed on the CUSTOMER'S property concerning asbestos or other hazardous materials or substances, all work by CONTRACTOR will cease until such time as CUSTOMER has, at CUSTOMER'S sole expense, caused said asbestos or other hazardous materials or substances to be removed in compliance with all applicable laws relating thereto. D. Mold or Mold Spores – CONTRACTOR recommends that you hire professional water damage restoration company to clean and treat an area that has water damage or as a result of work performed. CONTRACTOR is not responsible for any damage or ill health caused by mold. CUSTOMER agrees to waive all claims against CONTRACTOR that may be related to such work. C. If a sewage spill is deemed hazardous material, the cost of clean up is the responsibility of the CUSTOMER. C. If a sewage spill is deemed hazardous material, the cost of clean up is the responsibility of the CUSTOMER. A. CUSTOMER shall furnish and pay for, at their own expense, all taxes, permits, and license fees required to legally perform the repair work in accordance with this Agreement. B. Access to the property for an agent of administrative authority must be provided within a reasonable time. Should reasonable access not be provided, it may result in additional charges to the CUSTOMER. C. If at any time the administrative authority asks for additional works not related to our original contract, the work is the responsibility of the CUSTOMER. CONTRACTOR will provide an additional CONTRACT PRICE for that work. D. All notices related to work performed by the CONTRACTOR which are sent to the property owner must be forwarded to the CONTRACTOR and a reasonable amount of time allowed for the process. C. No deduction shall be made from payments due CONTRACTOR on account of penalty, liquidated damages, back- charges for alleged defective work, or other sums withheld from payments to other CONTRACTORS, or on account of the cost of charges or defects in the work. Furthermore, CUSTOMER agrees and recognizes that payment for services rendered by CONTRACTOR when due is an express condition precedent to CONTRACTOR continuing work as herein described in this Agreement. CUSTOMER recognizes that the failure to pay for services when due shall entitle CONTRACTOR to terminate work immediately. In the event that CONTRACTOR terminates work for non–payment as herein described, CONTRACTOR shall be entitled to all of its reasonable expenses including, but not limited to, cost of labor, materials, a reasonable allowance for overhead and profit, and all other compensation as allowed by law. All warranties will be void. Mr. Rescue Plumbing and Drain Cleaning hereby declares that it don't have any affiliation, connection, contract, joint venture or any contact with any other plumbing or drain cleaning companies, entities, corporations. Further Mr. Rescue Plumbing and Drain Cleaning don't have any connection, resemblance, contract, affiliation with Rescue Rooter, Roto Rooter, Mr Rooter or any other plumbing or drain cleaning company or any company rendering these services. CSLB is the state consumer protection agency that licenses and regu- lates construction contractors. Contact CSLB for information about the licensed contractor you are considering, including information about disclosable complaints, disciplinary actions and civil judgments that are reported to CSLB. Use only licensed contractors. If you file a complaint against a licensed contractor within the legal deadline (usually four years), CSLB has authority to investi- gate the complaint. If you use an unlicensed contractor, CSLB may not be able to help you resolve your complaint. Your only remedy may be in civil court, and you may be liable for damages arising out of any injuries to the unlicensed con- tractor or the unlicensed con- tractor's employees. This Web site is created and controlled by Mr. Rescue Plumbing and Drain Cleaning in the State of California, U.S.A. As such, the laws of the State of California will govern these disclaimers, terms, and conditions, without giving effect to any principles of conflicts of laws. By use of this Web site you irrevocably consent for any and all disputes with Mr. Rescue Plumbing and Drain Cleaning to the venue of state or federal courts located in the State of California. If you access the Web site from outside of the United States, you do so at your own risk and are responsible for compliance with the laws of your jurisdiction. We reserve the right to make changes to our site and these disclaimers, terms and conditions at any time with or without notice to its users. Mr. 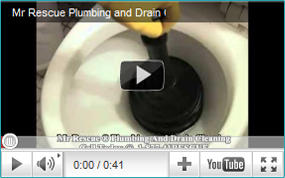 Rescue Plumbing and Drain Cleaning Inc., 4231 Business Center Dr # 12 Fremont, CA , 94538. Fax 510-493-2254.